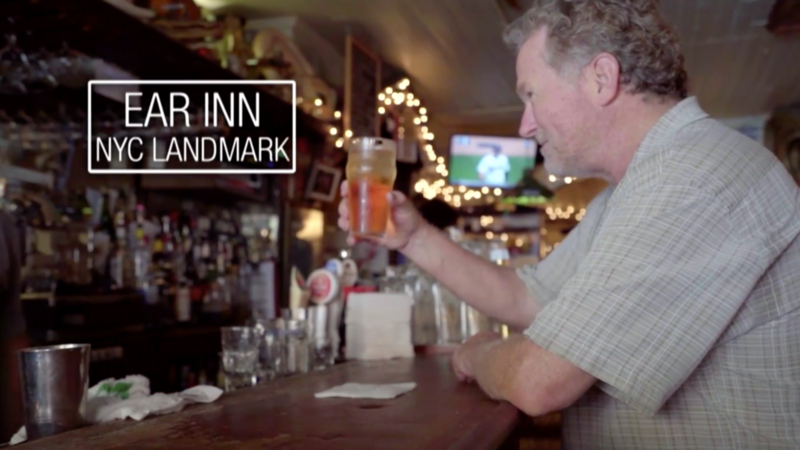 The Ear Inn is one of the oldest operating drinking establishments in New York City. The building was constructed around 1770 for James Brown, an African aide to George Washington during the Revolutionary War. Today, the two and a half story, Federal style townhouse remains virtually untouched, adding a quaint sensibility to the otherwise industrial and modern neighborhood. Come soak up the uniquely contagious energy at The Ear! Poetry readings and movie screenings are a common occurrence upstairs. Three nights a week, the bar is blessed with live music from some of the most talented people in the game.